it seems appropriate to look back at the past eleven months and the fantastic albums that have been created. Many have (rightly) seen 2016 as a bumper crop and one of the most productive and consistent years for music – a vast improvement on previous years. With big legends and established bands creating their finest works; some wonderful debut and sophomore record unveiled: what better time than assess the best of the rest; those albums that have defined this year and prove what an amazing time for music it is. I collate my ten favourite L.P.s from the year: those albums that have meant the most and made the biggest impressions. 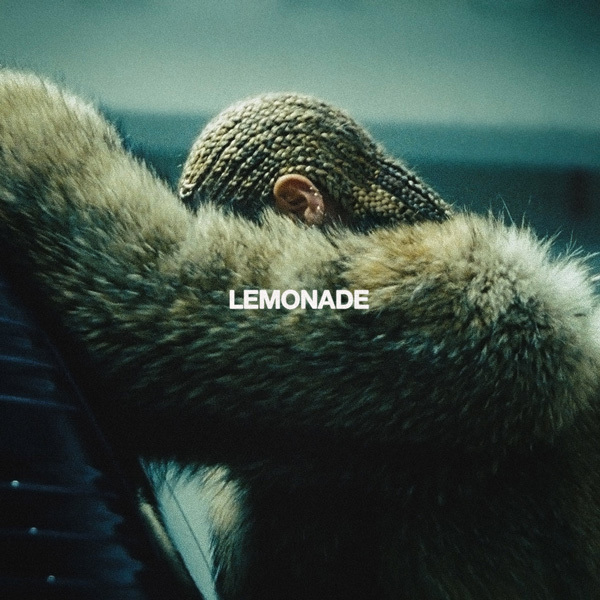 Few that witnessed her self-titled 2013 album could have predicted the shifts and explosions of Lemonade. Beyoncé has always been known for her electric performances and raw passion – Lemonade took that to rare and supernatural heights. Speculation exists as to the songs’ origins – addressing possible infidelity from Jay Z – but you cannot deny the quality and consistency. The finest album from Beyoncé’s solo cannon: politics, love and self-affirmation are all addressed across the record. Don’t Hurt Yourself (Jack White comes into the fold) is expletive-ridden, cathartic and angered whilst Daddy Lessons finds Beyoncé recall the advice her father gave – essentially, shooting cheaters and those who deceive (whether literally or metaphorically). Formation is the biggest political statement and finds Beyoncé not only rally her supporters but unifying the listening world – laying vital, humanitarian messages down. Although there are quite a few writers and producers in the mix: it is Beyoncé’s passion, talent and voice that ring loudest. It is a huge leap for Beyoncé and one that proves she is among the most inspirational and important artists of her time. This is an album I was certain would be nominated for a Mercury Prize. Whilst Skepta’s Konnichiwa would make my top-twenty of this year – alongside the likes of Bat for Lashes, Ed Harcourt; Sunflower Bean and Laura Mvula – but I feel The Colour in Anything deserved a Mercury nod. The sheer spectrum of colours, compositional touches and diversions is staggering. Across seventeen tracks – most of which Blake wrote alone – shows what a singular talent he is. 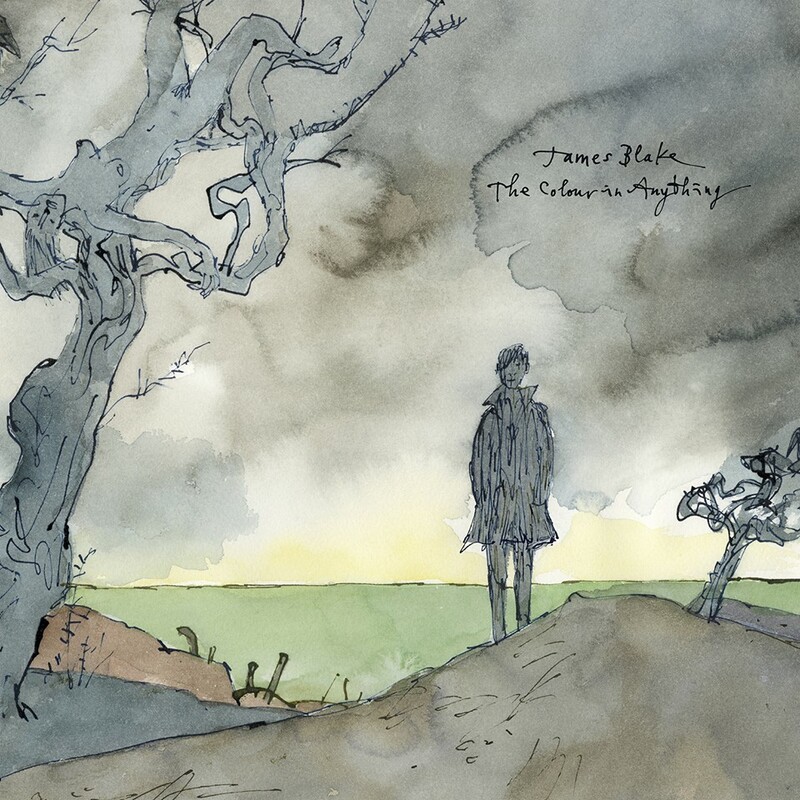 There are few that have such a commanding and unique songwriting style as James Blake. That sonorous, captivating voice makes songs like Radio Silence and Modern Soul so engrossing and alive. The fact he was called to work on Beyoncé’s Lemonade shows what a cachet he has – an artist legends are clamoring to work with. If the production and sound are sometimes dystopian and mind-altered – a man wrestling with deeper issues – the lyrics speak of positivity, happiness and the quest for betterment. That might seem like a counter-intuitive approach to modern music but one that led to a spectacular, life-affirming record. The strongest of Blake’s trio of albums: The Colour in Anything points at what could come from the London songwriter. Leonard Cohen’s recent death put into perspective how many music legends have been lost this year. Few are as notable and chasm-shaped as David Bowie. Few could have predicted his death when hearing Blackstar but it is impossible to listen to the album and not think about it. An honest, stark and beautiful work from a man who knew his fate was sealed. The seven-track release is more concise than previous albums like The Next Day and more compelling. Those looking for shades of early-career Bowie were surprised by the complex compositions, eccentricities and sonic leaps of Blackstar. Never an album that catered for radio stations: Bowie is at once oblique and mysterious and bare-naked the next; always gorgeous, memorable and graceful. Not only are the songs tighter and more nuanced but so too are the vocals. Bowie’s voice has always been lauded but on Blackstar he hit his peak – more shades, sides and emotions than ever before. It is a tragedy that we will never see another David Bowie album: Blackstar acts as a wonderful epitaph and demonstration of a true icon undeterred and affected by imposing mortality. If you want to talk about emotional albums from musical icons – one more to come in this piece – then you cannot ignore Nick Cave’s latest album. Following the death of his son Arthur: Skeleton Tree gained a dark and harrowing notoriety. One can feel and hear Cave calling across the heavens to his departed child – desperate, confused and harrowed. Profundity sits with anguish across an album that offers a stark and open insight into bereavement. That is not to say Skeleton Tree is a suffocating and off-putting album. It is beautiful, mesmeric and engaging from first note to last breath. Jesus Alone boasts warped electronics and byzantine lyrics; Girl in Amber one of the most beautiful pieces of the band’s entire career – by the title track (the eighth and final) you yearn for more, oddly. It is seen as the unimpeachable album of the year by many critics and is hard to argue against. It is unlikely Nick Cave & the Bad Seeds will ever top Skeleton Tree and one wonders if they will continue at all. Such is the emotional, exhaustion and sadness one gets from the performances – can the Australian group ever come back from it? The inclusion of Leonard Cohen’s final album is not a reaction to his death but acknowledging a truly astonishing work. In the way Bowie was coming to terms with his impending demise: so too was Leonard Cohen. You can hear a man not long for the world tackle the subject head on – he even told The New Yorker he was ready to die. Cohen sang from a medically-designed chair – suffering from a back injury – whilst his son Adam produced. Cohen’s voice is at its graveled and smoky best; the lyrics as sharp, poetic and profound as any of his career – the songs as unforgettable as any he has ever produced. Leaving the Table finds Cohen look at things surplus to requirement – “I’m leaving the table/I’m out of the game”. 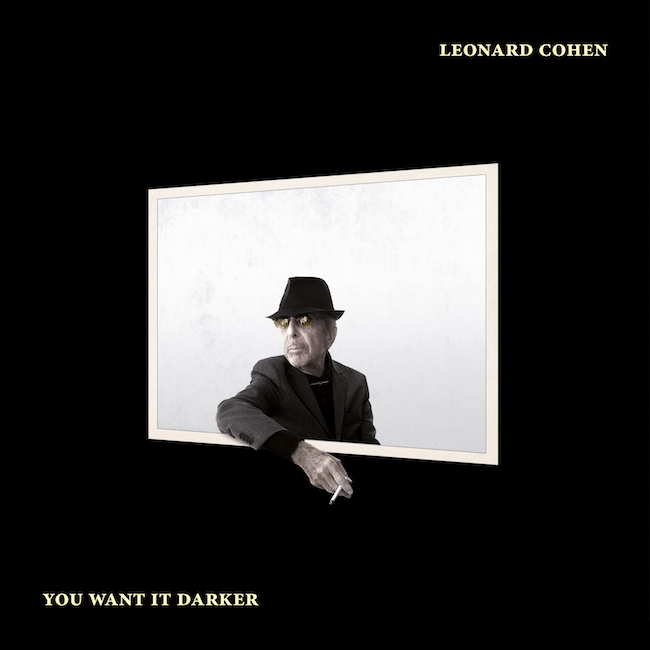 Folk, Gypsy roots and Blues bring together his older work (Various Positions especially) and You Want It Darker is one of the most eclectic works of Cohen’s career. Treaty sees synths., strings and choirs fuse while Traveling Light places bouzokis and drum loops together. It is an intoxicating and immense work from one of the greatest songwriters to have lived. Few could have known – like Bowie’s Blackstar – the creator would die so soon after – giving You Want It Darker extra levels, poignancy and relevance. One feels Cohen – having created that title and shuffled the mortal coil – will be shooting a sly grin from his throne in Heaven. Not an album many would expect to see on an end-of-year list but it is there for a good reason. In a sea of solo artists laying down their songs and trying to impress – few make such a mark as Julia Jacklin. The Australian newcomer wrote the album in response to those around her growing-up and developing in life. Whether buying a home or moving abroad: Jacklin felt grounded and rootless by comparison. The songs address the need to make changes and the issue of age. The catchy single Coming of Age finds Jacklin tackling premature middle-age (Jacklin is twenty-five) and the necessity of making the most of time. The rest of Don’t Let the Kids Win is complex and diverse. The compositions are constantly agile, rich and unexpected – not what you’d expect from a debut album from someone entering the Indie-Rock milieu. Eccentric, charming and witty at times – various moments find Zach Braff cast as Jacklin’s dad and Catherine Deneuve as her mum – the shining star of the album is Jacklin’s voice. Quirky at various moments yet always heartfelt, spirited and beautiful. 2016 has seen many debuts and new artists emerge but few are as memorable as Julia Jacklin. The media and international radio have fallen for her music and no wonder: Don’t Let the Kids Win is a sensational album that deserves big love. Home Again was the debut from Michael Kiwanuka and was well-received by many. Love & Hate seems like a quantum leap and true summation of Kiwanuka. Many have noted how busy and full Love & Hate is. More diverse, sprawling and ambitious than his debut – an album that never sits still and is always mobile, surprising and accomplished. Kiwanuka’s soulful, divine vocals make every song stand out and resonate hugely. At times introspective and investigative; others political and angered – a young man coming into his own and addressing the world around him. Black Man in a White World is about isolation and racial imbalance while Cold Little Heart shows its scars and burdens – a ten-minute masterpiece that has been described as Homeric and orchestral. Although many of the tracks are long and lush, they are never self-indulgent and unfocused – Love & Hate is consistently measured, disciplined and accessible. Kiwanuka can be punchy and funky when needed – One More Night is a classic Soul workout – but candid and revelatory when needed. The fact Love & Hate did not win the Mercury Prize is no disservice to Kiwanuka and his multiple talents – he will be winning many awards in the years to come. The seventeen-year-old Ripon native entered music less with a bang and more a mellifluous, spine-tingling call. Writing of Blues and Yellows is a vastly mature work from a singer not only tender in years but making her debut statement. Poetic, literary-referencing and brutally honest – Billie Marten is a singer that gets into the head and is impossible to shift. Album standout Heavy Weather is a vivid and picturesque song replete with pattered beats and tender finger-picking; seductive (chorus) vocals and one of the most pin-sharp performances across the record - you envisage yourself battling the "English winter" with the heroine. Bird and Emily are utterly beguiling while Teeth addresses mental illness and is one of the most personal songs across Writing of Blues and Yellows. It is easy to find comparisons between Marten and her musical icons Nick Drake, John Martyn and Kate Bush. You command, talent and Folk wonder of Marten and Drake (within Marten); the age-appropriate lineage and immense voice of Kate Bush – Marten reminds me a lot of Kate Bush and (Marten) has the same potential and career looming. Critical consensus remains thus: a four-star beauty that showcases a rare and wonderful young talent. Make sure you keep your eyes trained on a musician that has a bright and varied career ahead. I am a devoted fan of the Oxford band and was not expecting something as immense as A Moon Shaped Pool. The King of Limbs (their 2011 predecessor) was a fantastic album but not up to the peak of their early work. When A Moon Shaped Pool dropped, there was a bit of trepidation and fear – all of those nerves were quelled and eradicated within a few bars of lead-off single Burn the Witch. Looking at scaremongering, scapegoating politicians; a society that is keen to turn people away – one of the finest and most instant singles from the band. The rest of the album is tenderer, calmer affair – sharing a sonic palette with The King of Limbs. If there were not many guitar moments and traditional Radiohead songs: what one received was a more mature, deep and thoughtful album from a band showing why they are so revered. Thom Yorke’s voice is consistently beautiful, heartbreaking and gripping; the compositions grandiose, elusive and haunting. Ful Stop is a glitch, jittery jam whereas Daydreaming is somnambulistic, cinematic and affecting. Radiohead proved how varied they are whilst not losing focus and identity. Let’s hope there are more albums from the band because they remain one of the world’s finest groups – in a place where they are, in their own words, happy and contented. Wild Beasts are one of the most consistent bands in this country and have enjoyed near-perfect critical acclaim and support. 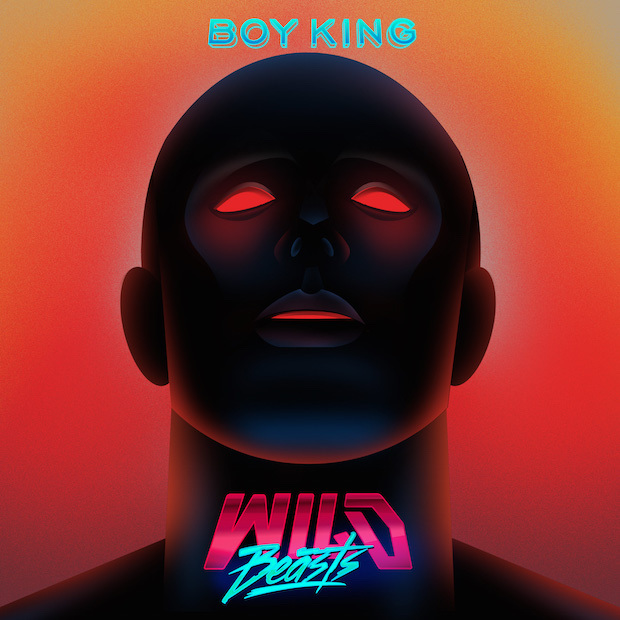 Boy King is the sound of a band living up to their name: dispensing with the nuance and going straight for the bone; raw, sexual and snarling animals. This description might put off soon but it was the Kendall band embracing their debut album – returning to the prurient boys and the need to get satisfaction. Career standouts Smother, Two Dancer and Present Tense were lauded because of their intricacies, subtleties and complex arrangements – that cut to the heart and enriched the soul. Boy King is less sophisticated but more immediate than any of the band’s previous albums. Big Cat finds the man on top whereas Alpha Female reverses the roles; Get My Bang and Tough Guy gritty and cocksure. Despite the band addressing modern-day masculinity and embracing a heavier-orientated sound: songs like Celestial Creatures and Dreamliners are among the most beautiful and stunning songs from Wild Beasts. Recorded by John Congleton in Dallas, Texas – an engrossing and important album that seems ever-relevant for the times in which we live.